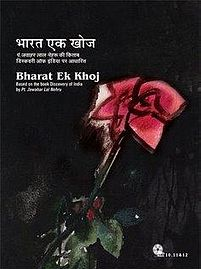 Episode #37 of Hindi TV Serial Bharat Ek Khoj explores the first segment of the life of Shivaji. Though he was a ruler of a very small kingdom, he used guerrilla warfare to claim a lot more than that. Despite having a small area under his rule compared to the Mughal sultanate, Shivaji was able to make his mark, not only in the history but the hearts of people. This episode tries exploring some of the segments of his life from important incidents during his lifetime, covered in Late Pt. Jawaharlal Nehru’s book – Discovery Of India. During the last days of Aurangzeb’s rule, the incidents of public unrest started raising. Some of them are not less than a small revolution. Be it Pathans of North, Jats and farmers or Sikhs, they all were feeling exhausted due to the strict rule of Aurangzeb. And when the system becomes so hard that people don’t feel comfortable living in, it leads to agitations and then war. Though, the main threat the Mughal rulers felt was from the rising power of the Marathas. Actually, Shahji Bhonsle has made his mark in the time of ShahJahan’s ruling, and was considered as a challenge for the Sultanate; it was his son, Shivaji, who became the main reason of worry them. Shivaji was born in the year 1630. He made a small troop fight against the Sultanate when he was just 19 years old! The fellows in this group were ready to follow any of his commands, regardless of the danger or consequences of the same. Getting such a loyal platoon at his command was a result of his hard work and vision. The episode starts in a quite imaginative way. The guard of a fort was not ready to leave it as he was appointed on the same post and he, as the loyal son, after his father’s death, considered it as his responsibility to look after it! And, through him, we got to hear the tale of Shivaji. The episode starts from the young days of Shivaji. Though born in the family of influential Maratha royal family, he didn’t get the things ready in his platter. Actually, during those days, their kingdom shrunk a lot. They were kind of counts to the sultanate. His father tried his best, but, ultimately he was not able to conquer full freedom for the entire kingdom from the sultanate. And, the things went sore on the personal turf as well. His family was almost broken. Jijabai and Shivaji needed to live in a different fort and he was living in a different one. How Shivaji got to learn some important lessons of politics, how the passion from freedom and war technique ignited into him, how he started taking tough decisions and some other incidents are explored in the rest of the episode. With the time, the history turns into legend and some incidents are over glorified. For a maker, it would be tough to balance the things. Because, apart from the folklore and other sources (which are often considered unauthentic), many parts of the history was documented by British historians, who have their own vision to look at the stuff. Actually, everyone has his/her own view to look at the things, and historians are not an exception, despite some of them try hard to remain as much objective as much as possible. Though the maker had to explore the incidents from the book, he has an added responsibility that now the TV Serial is reaching to the period which can be considered as somewhat latest history. So, writing out a balanced script is quite a tough job. We must say that the scriptwriter and director both did the justice to the work they had on hand. Govind P. Deshpande and Shyam Benegal, both deserve the credit for making this episode effective. The way, the visuals of the mountain range in Maharashtra are captured, and some of the forts are shown, is a commendable job. Be it the clothing, ornaments or weaponry, the team took care of the things in a quite effective manner. The way the horses are used, and the realistic locations are explored; are another positive attributes of this episode. In terms of acting, Naseeruddin Shah is in full form as Shivaji. However, it is Anang Desai who plays Dadoji Konddeo, steals the praise for his performance. Other performances worth to take a note are Achyut Potdar as Shahji, Sunila Pradhan as Jiiabai, Mahendra Raghuvanshi as Bajirao, Chandrakant Kale as Shridhar Pant, and Ravindra Sathe as Sampat Rao. The way the folklore, folk music, and other stuff is included in the episode, is quite interesting. You will remember playback by Ravindra Sathe, Chandrakant Kale, and Madhuri Purandhare, even after you complete watching this episode. I don’t want to include any spoilers, so all I can tell you is to pay attention to the dialogs. They are simple, effective and realistic. The scene between Shivaji and his father is emotional and a must watch. Though, the episode is available to watch for free via Public Resource Archive on YouTube, keeping a DVD set in your video library will enhance it positively, for sure. You shouldn’t miss watching this episode.